Combine contemporary style with classic Italian craftmanship as seen in the Mark sofa from the Daytona collection by Signorini & Coco. The delicate elegance of the refined design makes the Mark sofa a perfect signature piece for your living space. The art deco inspired shape is complemented by luxury leather padded cushions filled with a soft goose down ensuring maximum comfort. 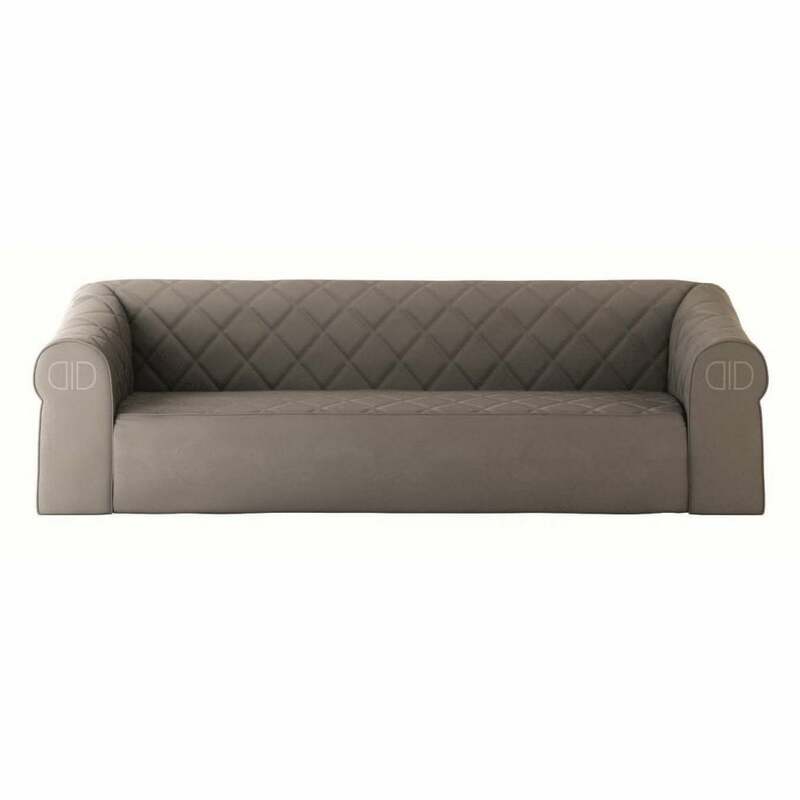 Crosshatched stitching provides added detailing to the luxury sofa. The upholstery and wood are available in various finishes and colours, contact us to discover your ideal look.